Gov. Hogan pledged to give an extra $500 million to the Metro system if Virginia, Washington and the federal government do the same. Maryland Gov. Larry Hogan has offered to give an additional $500 million to help fund the D.C. region’s public transportation system for the next four years, as long as Virginia, Washington and the federal government do the same. Hogan made the proposal in a letter he sent Monday to Virginia Gov. Terry McAuliffe and D.C. Mayor Muriel Bowser. This is the most recent move in a long-standing debate over Metro funding. This position reverses Hogan’s previous stance on Metro funding, The Washington Post reported. Last month he told Bowser and McAuliffe that Maryland would not give any more money to Metro than what their government already contributes. Hogan also complained that Maryland provides more than its fair share of funding to Metro. “However, the debate we are having now is not about the past, but rather what we can all do now to ensure that Metro not only survives, but dramatically improves,” Hogan wrote. “Given the current crisis, the State of Maryland is prepared to invest an additional $500 million in increased Metro funding over the next four years if the Commonwealth of Virginia, the District of Columbia and the federal government all commit to do the same,” Hogan wrote in the four-page letter. 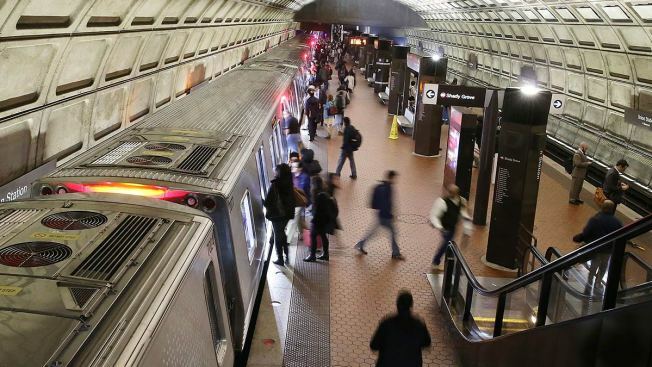 Hogan also stressed that the federal government should do more to support Metro, given that 42 percent of Metro riders are federal employees.